Here’s a quick teaching tip for the class which can be incredibly important. It’s surprisingly simple and surprisingly effective. In fact, it can change the way you teach and the results you get. It’s all about how you choose a student at random to speak and making sure everyone in class is involved. The result is leveling class participation, narrowing the gap between the good and poor students in the class, and getting a better feel for what is being understood. In most classes a teacher will ask a question and a few students will put up their hands to answer. This isn’t very useful for a number of reasons. Good students put up their hands because they know the answer; they’re essentially showing off since they aren’t learning anything here, they’re just demonstrating to you and the rest of the class how clever they are. Students who lack self-confidence won’t put up their hands even if they know the answer in case they get it wrong. If they discover they did know the answer they’ll feel disappointed in themselves for not answering. If they discover they didn’t know the answer they’ll feel vindicated and next time round be even more reluctant to put up their hand. Students who aren’t sure won’t put up their hands in case they’re wrong. Students who don’t know the answer won’t put up their hand. They may, or may not, take on board the correct answer given by the smart student. In this way the gap between the more and less able students grow. The good students are engaged in the class, waiting for an opportunity to show off; the poor students will often disengage from the class simply wait for the end of the lesson. And in these cases the teacher will normally ask a raise hand, get a good answer, and move on, leaving many of the students behind. The result in most classes is that perhaps 10% of students get asked to participate 90% of the time which means 90% of the students participate just 10% of the time and even if you decide to try and ask different students in each task it’s hard to keep track and easy to forget the quiet ones when you want an answer. Quite simply you need to devise a method so that ALL the students in every class get a fair go in class. You need to make sure that when you ask a question (or give out a task) there is an equal chance for every single student to be chosen and you don’t show favoritism to any student. This last advantage can come as a surprise. Once the class become used to the idea that any one of them could be asked a question at any time they know they need to pay attention more in case the next student chosen is them. In the old days a quiet student would sit at the back and know that if the teacher asked a question then the most enthusiastic students would put up their hands to answer. But once you adopt this new method then every student knows they could be asked to participate. So the answer then is to keep hands down in the class and there are a number of different ways you can use to make this happen. 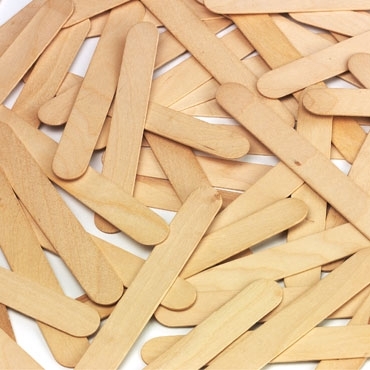 One of the most common is to get a load of blank popsicle/lolly sticks and on each one write the name of a student. Put them in a tin on your desk and every time you ask a question, pick one at random and ask that student. If you find there’s resistance to this technique from the students, get them more involved by having a student pick out a stick and read the name. Quick Tip: If there are particularly weak students in your class you can pick out sticks 2 or 3 at a time and read the names out so that those students know they’ll be asked shortly and will need to pay special attention to what you’re saying. Sometimes the better students who were used to putting up their hands at every question will feel like they’re being ignored. Essentially they don’t have an opportunity now to show off. This is simply addressed by the Mini Whiteboards‏‎ technique.